? FOUNTAIN Coca-Cola LUNCH, Metal Tin Sign, Tin Poster, Art Vintage Style Wall Ornament Coffee Decor, 20 X 30 Cm. 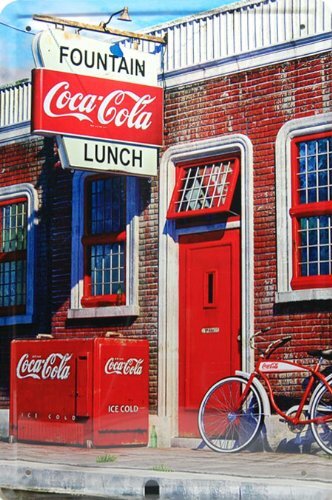 FOUNTAIN Coca-Cola LUNCH, Metal Tin Sign, Tin Poster, Art Vintage Style Wall Ornament Coffee Decor, 20 X 30 Cm.